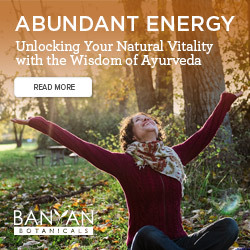 MA, 500-ERYT, Founder of Tantra Flow Yoga, Jeanne brings together 30 years of yoga practice with 19 years of teaching experience into a style of yoga- inclusive of asana, Ayurveda, meditation, with the added focus of cultivating positive energy. She specializes in discovering the needs of an individual and gently guiding students to their own grace and balance. 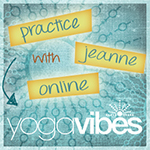 Jeanne teaches with sensitivity, generosity of spirit, and a lot of humor. A ParaYoga Level II Certified Teacher, Jeanne teaches with YogaWorks when in Los Angeles, and tours internationally teaching trainings, workshops and retreats. I am expanding into a teacher training that blends the passion for alignment to reduce/prevent physical pain with the magic of the Subtle Body to increase one’s power and possibilities. I hope to put all of this discovery into a book in the not-so-far future and then find a place in nature close to a city) where people can come and study for extended periods of time and learn the art of living as a yogi. I am most efficient when working individually with my students. My classes are not just a work out, they are a work IN. Students often leave the class changed, for the better. My goal is to help them connect to their Truth, closer to their True Self. If I can do this, then the world is a little bit nicer, and I am glad I got out of bed. Stories of people who have gone through extreme difficulty in their life and have used that difficulty to make a difference in the world. There are stories like this on NPR and the internet every day. I seek those people to guide me when things feel tough, for it reminds me that the difficulties are universal. None of our feelings, even the difficult ones, are original. When I read about someone finding a way through a difficult time it helps me and inspires me to keep on going. Through creativity, collaboration, and communication, I seek to bring people closer to their Truth, which is what makes every individual beautiful. I love to cook and create things in the kitchen and humbly, I share, that I am pretty good! I have a passion for traveling and meeting people in different environments and love to immerse myself into their way of living to feel the experience of being someone else. In the past I was a trained actress and still have a love of learning about people and what makes them work, why we all behave the way we do.